Rihanna has launched her Fenty Beauty by Rihanna makeup line for all shades of skin, unveiling the line simultaneously around the world on September 8. Fenty Beauty by Rihanna spans 91 products, available exclusively at Sephora! 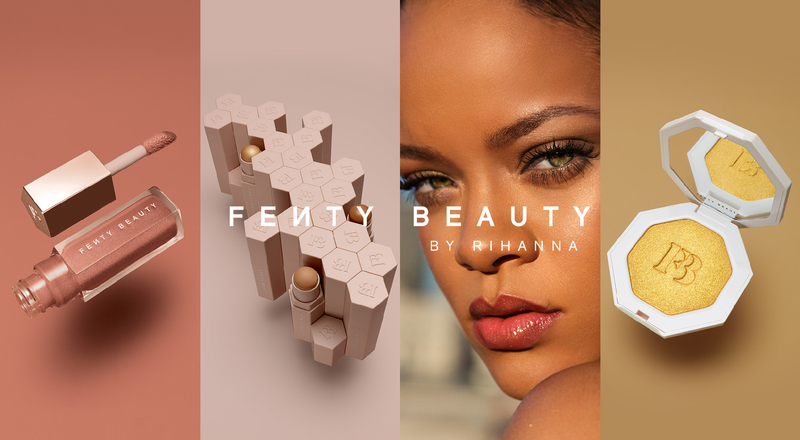 Working with Kendo, the LVMH Group incubator for beauty brands, Rihanna has created her own makeup range, Fenty Beauty by Rihanna. Unveiled simultaneously at 1,600 stores in 17 countries, the new line is designed for women of all shades. With 91 different products – available exclusively at Sephora and on the beauty retailer’s website – Fenty Beauty by Rihanna offers a vast choice of lightweight products for all skin types and tones: 40 foundation shades, 30 Match Stix skinsticks to contour, correct, conceal or create a shimmer, a blotting powder, plus a range of beauty accessories. Rihanna has chosen three prestigious makeup artists – James Kaliardos, Priscilla Ono and Hector Espinal – as international brand ambassadors. The launch of the new makeup brand was accompanied by an ad campaign featuring Rihanna herself, with display ads and a film that features all the different types of women for whom Fenty Beauty by Rihanna was created.